A new report from the U.N. Intergovernmental Panel on Climate Change (IPCC) illustrates just how dire a state our planet is in. 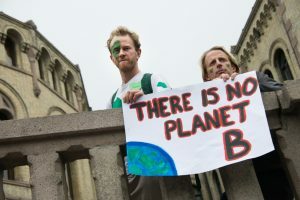 Experts say that if governments don’t act soon, global temperatures will reach 1.5 degrees Celsius (2.7 degrees Fahrenheit) above pre-industrial levels by as early as 2030. “This is concerning because we know there are so many more problems if we exceed 1.5 degrees C global warming, including more heat waves and hot summers, greater sea level rise, and, for many parts of the world, worse droughts and rainfall extremes,” said Dr. Andrew King, a climate science research fellow at the University of Melbourne. As CNN reports, we’re already two thirds of the way there, given that global temperatures have already risen by about 1 degree C. What’s more is that we’re already seeing the effects of it. Civics Lesson: Which Countries Emit the Most CO2? 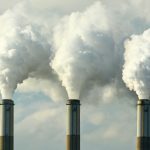 According to the International Energy Agency, in 2015, the country that emitted the most CO2 was China, followed by the U.S., India, Russia, and Japan. “One of the key messages that comes out very strongly from this report is that we are already seeing the consequences of 1 degree C of global warming through more extreme weather, rising sea levels and diminishing Arctic sea ice, among other changes,” Panmao Zhai, co-chair of IPCC Working Group I, noted. If the planet gets any hotter—even by what seems like a minuscule temperature change—we can expect the consequences to be even worse than they already are. “Every extra bit of warming matters, especially since warming of 1.5 degrees C or higher increases the risk associated with long-lasting or irreversible changes, such as the loss of some ecosystems,” Hans-Otto Pörtner, Co-Chair of IPCC Working Group II, explained.